These red framed stacking lab stools are a fantastic addition to our large selection of industrial vintage seating. 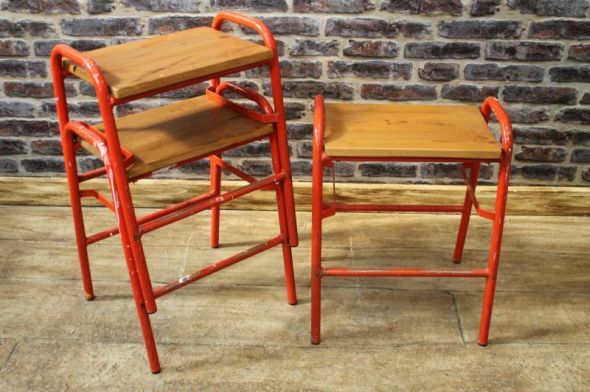 These 1950s/1960s stacking stools with red frames are ideal for pubs, restaurants or home use. They are good and sturdy pieces of furniture, and conveniently stack. Great for those with limited space available! Please note – this listing is for one vintage industrial stool, but we do have more available. These stools are now sold.